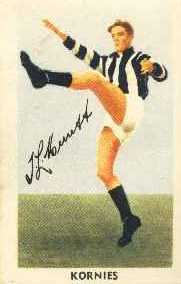 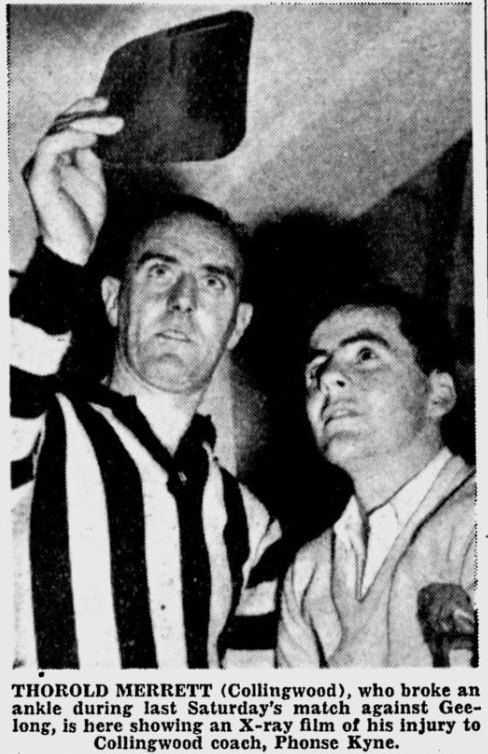 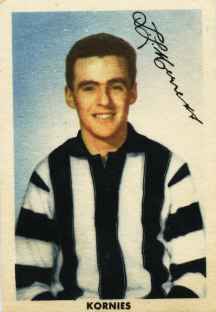 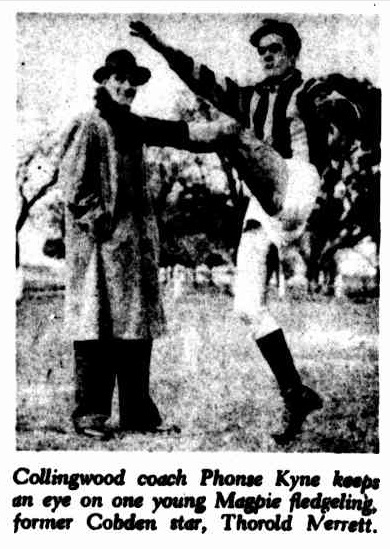 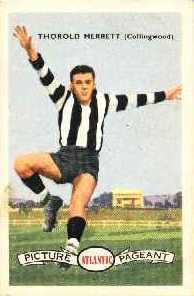 THOROLD MERRETT, who played for Cobden in a team coached by Jack Murphy, a former player, is regarded as No. 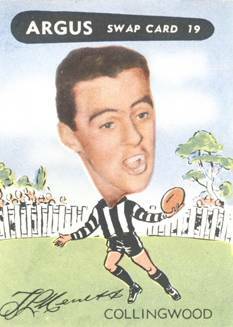 I player at Collingwood, where 14 first year players have been tested. 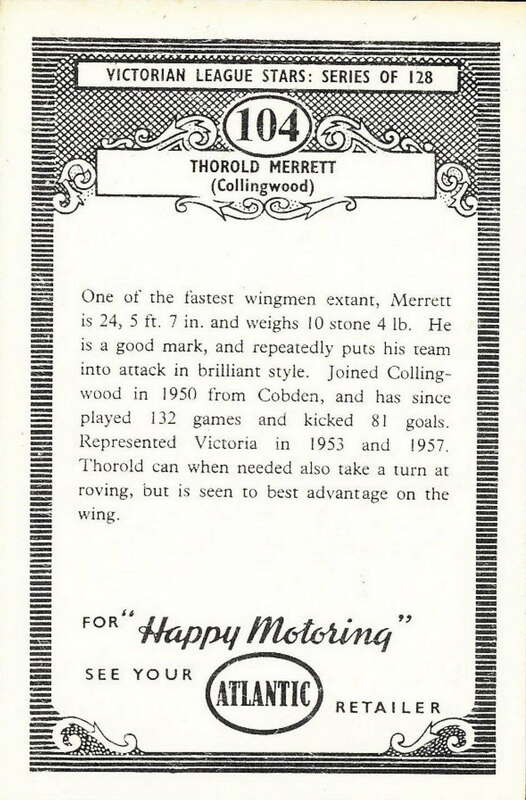 Merrett was only 16 when he played his first senior game. 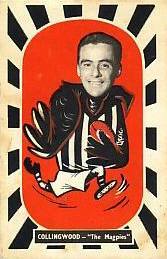 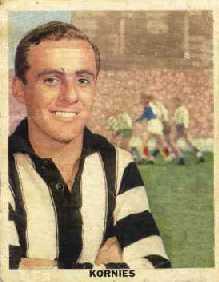 He is small and only a lightweight, but he is a typical smart Collingwood player. 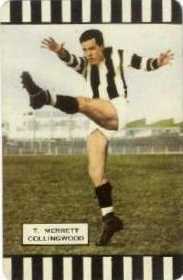 As a wing man, his pace, clever ball-hand- ling, and delightful stab-kick passing have the touch of genius.